Disclaimer: This page is aiming at organisations. For individual support, please read this page. EuroScientist is an independent participatory magazine offering a discussion platform to help progress current issues affecting the European research community. It is a publication of EuroScience, the European grassroots organisation of scientists across disciplines and countries. Increase the visibility of your organisation among the community of stakeholders involved in research and innovation, including EU and national policy makers, by appearing with your organisation’s logo in our online display page of supporting research centres and consortia. Each participating centre or research consortium will be featured through descriptive entry (consisting of a photograph, a logo, the entrant’s name, a short description and list of keywords outlining each entrant’s research focus and the number of researchers involved as well as a link to its website). This will, in turn, facilitate the flow of information in both directions, between your communication office and ours. The fee for a research consortium, such as EU funded projects, is €1,000. Your contribution will be used to support the editorial, IT development and maintenance and diffusion costs of the EuroScientist and the underlying administrative costs supported by the office of our publisher, EuroScience. Please contact the EuroScientist office directly by email or at +33 3 88 24 75 58, should you require further information. 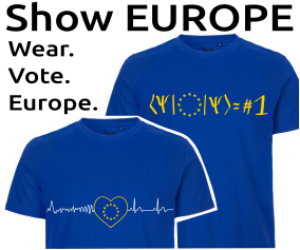 We hope you will soon join the club of EuroScientist’s supporters. This way, you will help us, help you solve challenges you are confronted with in your daily job by bringing your key issues of concerns to a wider public debate involving policy makers. If you want to pay via bank transfer, please send an e-mail to the EuroScientist office and we will provide you with an invoice.